The final book in the His Dark Materials trilogy was published in 2000; five years after Northern Lights first came out. At 548 pages it is the longest in the series and Pullman admits it took three years to write. This is an amazing book, not only for the ideas and the masterful execution, but because it brings together everything that Pullman had been working towards and building up to in the previous two books. There are moments towards the end of The Subtle Knife that break your heart, but that is nothing compared to what The Amber Spyglass will do to you. The title refers to a telescope/spyglass created from two lenses with a lacquer from plants, as well as bamboo to separate the lenses. It was constructed by Dr Mary Malone and allows humans to see Dust. Like the previous two books, The Amber Spyglass has won numerous awards. In 2001 it became the first children’s book ever to win the Whitebread Book of the Year, and was named Children’s Book of the Year. It was also included on the longlist for the Man Book Prize, another first for a children’s book. 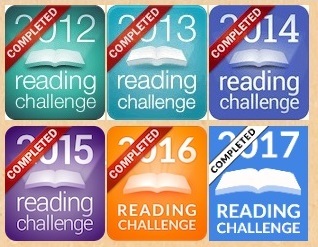 Other awards it has received include winning the British Book Award, the American Library Association Best Book for Young Adults, Parents’ Choice Book Award, Horn Book Fanfare Honor Book, New York Public Library Book for the Teen Age, and ABC’s Children’s Booksellers’ Choice. It was also featured on the New York Times Bestseller list. While the previous books has hand drawn images at the start of each chapter, The Amber Spyglass opens its chapters with a quote from one of Pullman’s favourite authors, and like the images, it has symbolic meaning to the coming chapter. Among the authors quoted are John Milton, William Blake, and Emily Dickinson, as well as many others, and Pullman included them as a way to acknowledge their influence. Later editions have the hand drawn images with each chapter, of which Pullman say are some of his best. Similar to Northern Lights, there has been controversy with certain aspects of the story though less about religion more about apparent sexual references. This series has been marketed primarily towards young adults but Pullman also intended the book to speak to adults. This is clear with the content, themes, and some of the more adult inferences seen in The Amber Spyglass. In North America some parts of book have been censored where Lyra’s incipient sexuality is described, which is a shame because it does actually play an important role, as does everything Pullman includes. In response to this, and his story in general, Pullman has commented “Nowhere in the book do I talk about anything more than a kiss. And as a child, a kiss is enough. A kiss can change the world.” The sexual realisation of the characters is as natural and innocent as the kiss that’s described and as Pullman says, “This is exactly what happens in the Garden of Eden…Why the Christian Church has spent 2,000 years condemning this glorious moment, well, that’s a mystery. I want to confront that, I suppose, by telling a story that this so-called original sin is anything but. It’s the thing that makes us fully human.” You can see the changes here. 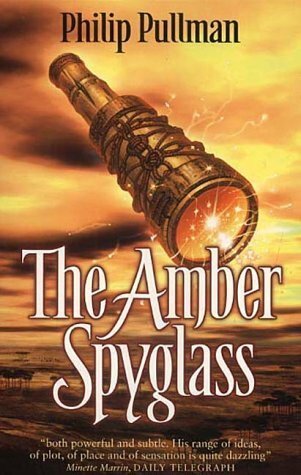 With this year being the 15th anniversary of The Amber Spyglass being published and the 20th since Northern Lights, it’s wonderful to see how over the course of five years of writing, three books, and an idea slightly controversial but incredibly brilliant, how much has changed, not only seeing how these characters have grown, but the effect it’s had on people reading about them. Pullman’s trilogy is apparently not as well known or popular worldwide as Harry Potter became (though still managing to sell almost 20 million copies) which is a shame, though interestingly sales matched those of Harry Potter in the USA, and despite the controversy has received a lot less criticism for books with a lot more obvious content than Harry Potter ever had. But all that aside, those who know it love it, and even with that movie it has remained loved and treasured. Pullman has stated that when he began Northern Lights he did not know where the story was going, at least not in any detail. With a rough idea of where it was all headed it is astounding to see where it ended up. To read only one of these books is doing it a disservice, to understand fully the masterpiece all three need to be consumed, only then can you see the bigger picture, the grand idea and intricate and detailed creation that has been described as being the most ambitious work since Lord of the Rings.